﻿﻿Learn these ancient healing arts! the energy that makes you feel alive, well and vital. It gives you a great physical sense of how chi gets embodied into your movement and enables you to experience and work with energy in a very subtle, complex manner. Qigong is an ancient Chinese health care system that integrates breathing, warm-ups, stretches, and a combination of postures, flows and meditation. Qi is pronounced chee and is usually translated to mean the life force or vital-energy that flows through all things in the universe. The second word, gong, pronounced gung, means work accomplishment, or skill that is cultivated through steady practice. Together, Qigong (Chi Kung) means cultivating energy. 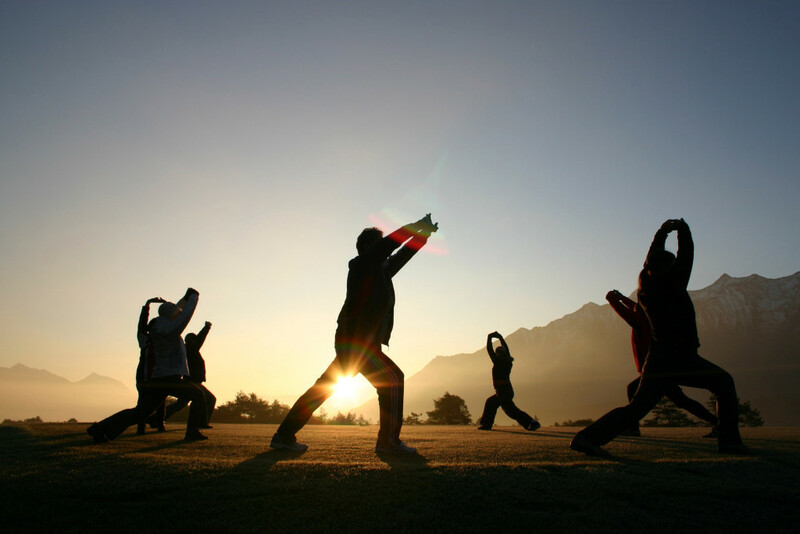 Qigong is a system practiced for health maintenance, healing and increasing vitality. ChiBall Method is based around TCM and includes 5 modalities; Tai Chi, Qigong Dance, Yoga, Pilates, meditation and Feldekraise with use of a specialty ball. Reiki a healing technique based on the principle that the therapist can channel energy into the patient by means of touch, to activate the natural healing processes of the patient's body and restore physical and emotional well-being. "The Truth About Cancer: A Global Quest"
Collection and Use of Personal Information: You may be asked for personal information when interacting with the Embracingyourenergy.com website, such as when registering for classes, workshops, retreats, individual lessons or any other individual or group session with entities associated with Embracingyourenergy.com or placing an order for a CD/ DVD or signing up to receive information by e-mail. What Personal Information We Collect: When you make a purchase or join our mailing list, we may ask for a variety of information, including name, mailing address, phone number, e-mail address, and credit card information. We do not store credit card information after purchases have been completed. How We Use Your Personal Information: We use your personal information primarily for registration to classes, workshops, and retreats. Or to fulfill an order you have placed. We may also use your personal information, such as your email address, to inform you of new products, specials, events, and general health and wellness information. If you do not wish to be on our mailing list, you may opt out at any time. We may also use your information internally for auditing, analysis, and research to help improve our products. Collection and Use of Non-Personal Information: We also collect data that is not associated with a specific individual (“non-personal information”). This is generally technical information used in aggregate to report on how visitors use our website. Cookies and Other Technologies: Embracingyourenergy.com’s website may use “cookies” and other technologies to help improve your visit and shopping experience. Disclosure to Third Parties: Your information will not knowingly share with a third party for their marketing purposes. Embracingyourenergy.com may share your personal information only with third parties to help facilitate your ordering of a product or your receiving communication from us. This may include our bank, shipping partners, and e-mail service provider. These companies are obliged to protect your personal information. Or share with class, workshop, and retreat centers for registration, room and board purposes as accordance with each facility necessities. Protection of Your Information: embracingyourenenergy.com takes precautions to protect your information against loss, theft, and misuse. Information Retention and Access: We retain your personal information for a variety of reasons: record keeping, meeting the objectives mentioned in this policy, and to make it easier for you to order from us again in the future. When placing an order, you will be asked to create a user name and password. On future orders, you may review and update your information. You may also call our customer service department anytime to review or change your information at 631-741-5182.